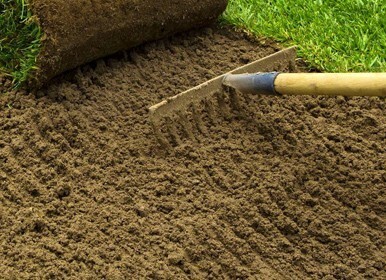 Landscape Companies in PA | AMC Nursery and Landscaping, Inc. 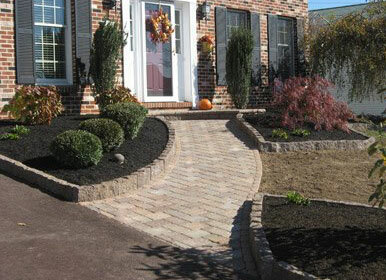 Welcome to AMC Nursery & Landscaping, Inc.
AMC Nursery & Landscaping, Inc. of Montgomery County, PA would like to thank you for taking time out of your day to inquire about our Landscape Company in PA Services. 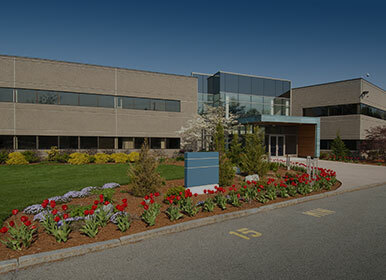 AMC Nursery & Landscaping, Inc. was established in 1992. We started out by cutting residential grass exclusively, then over the years we developed into a full service Commercial Lawn Maintenance and Landscape Company. Yes, we have grown! Later, with the housing boom in the 1990’s we started the installation of new lawns for Residential and Commercial Developers. We also provided such services as finish grading and hydroseeding and street tree installation. In the late 1990’s, we began providing Landscape Design and Installation as well as the installation of paver patios, walks and walls. In 2004, AMC Nursery & Landscaping, Inc. opened a brand new facility that includes 5.5 acres of fully - stocked nursery material. In addition to our huge inventory of shade and ornamental trees, we also have a wide variety of annuals and perennials. We also offer mulch and topsoil delivery. 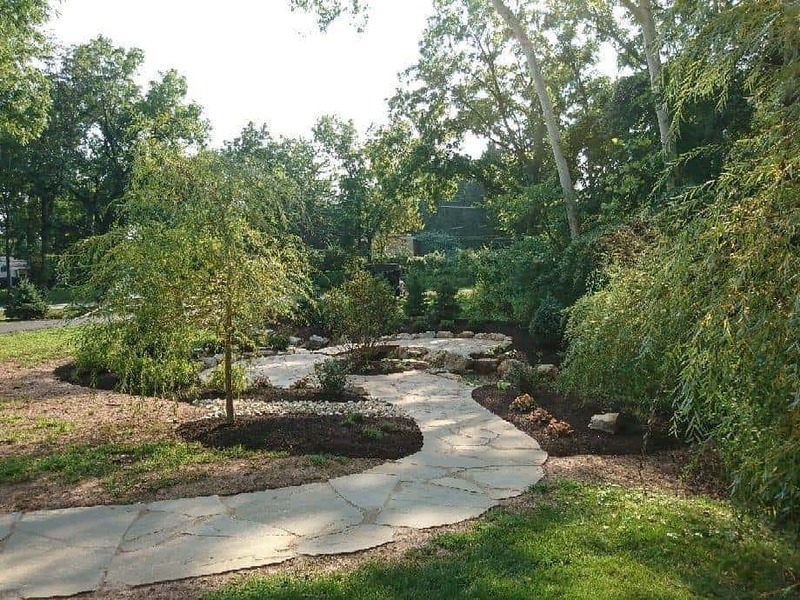 In spring of 2008, AMC, constructed it’s new corporate headquarters based out of Souderton, PA in beautiful Montgomery County, PA.
AMC Nursery & Landscaping, Inc. has a full staff of Landscape Designers. Our staff includes graduates from Temple University Landscape Architecture and Horticulture programs and Delaware Valley College of Agriculture and Science with Ornamental Horticulture. AMC Nursery & Landscaping, Inc. is an EP Henry Authorized Installation Contractor. Our employees are ICPI and NCMA certified for the installation of patios, walks and retaining walls. Need Topsoil Or Mulch ? program specifically for your lawn. That’s why property managers choose AMC. with professional landscaping, we can help. 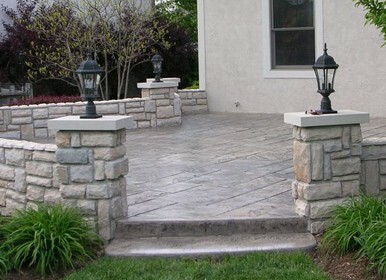 Creating beautiful outdoor spaces is our specialty. your belongings protected from water damage. and competitive prices in our service area. decorative rock for all your landscaping needs. All of our items are available for pickup or delivery. AMC was great! patio looks beautiful. John always answered my questions in a timely fashion and followed up. I plan on using AMC again! Had hardscaping done in the backyard and they did an excellent and efficient job. Craftsmanship is excellent with attention to detail. 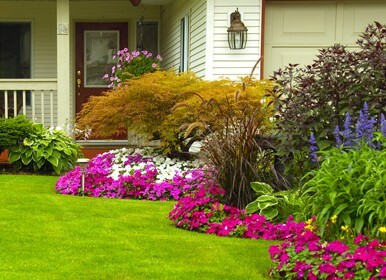 We have been using AMC for weekly lawn service/seasonal fertilization, etc. for a number of years. All services are professionally done in a timely manner, and management has always been pleasant to deal with if/when questions arise. Great landscaping design. The staff was really responsive to our needs. Best price in the area. Let's go for an honest review. Let's face it, as a home owner, dealing with contractors is always fun. The name doesn't do this company a service. Hardscaping should be in there somewhere. I've used AMC now a few times for different jobs at our home. Management and staff have always been accessible for any concerns, questions, or issues. From design to project completion, AMC hasn't let us down. We wanted to say that you guys did a great job! Everything looks beautiful! From day one you have been incredible to work with, you really took our thoughts and put that down on paper to create something even more beautiful than we imagined. The amount of work and effort put into the job even before we said yes was very impressive and appreciated, it made our decision to use AMC an easy one. And now that the job is almost done we couldn’t be happier. Your crew worked very hard every day non-stop in this sweltering heat, we weren’t home to see all of the work as it was happening but we heard that they really took their time to get it right and we can see that in the finished product. We saw the stucco yesterday and it looks great, we can’t wait to see the stonework! Thank you so much for all of the hard work and effort put in by you and your crew!!!! I wanted to follow up with both of you. We were very pleased with the services you and your team provided. I plan to bring you back next Spring! I wanted to let you know that we are so happy with the patio we had installed. Your guys were so professional. Again thank you we finally feel like we have the backyard of our dreams.